The banquet is for all teams, coaches and parents. Parents and siblings are $30 per person. Players and Coaches (with their guest) will be paid for by the Diamond Club. Coaches please register too. Please regster using the link on the left side menu or CLICK HERE. Registration closes Friday May 3. Pay by Cash or Check at the DC meeting this Wednesday 4/24/19 or pay via credit card by May 3. Payment will not be accpted at the door. 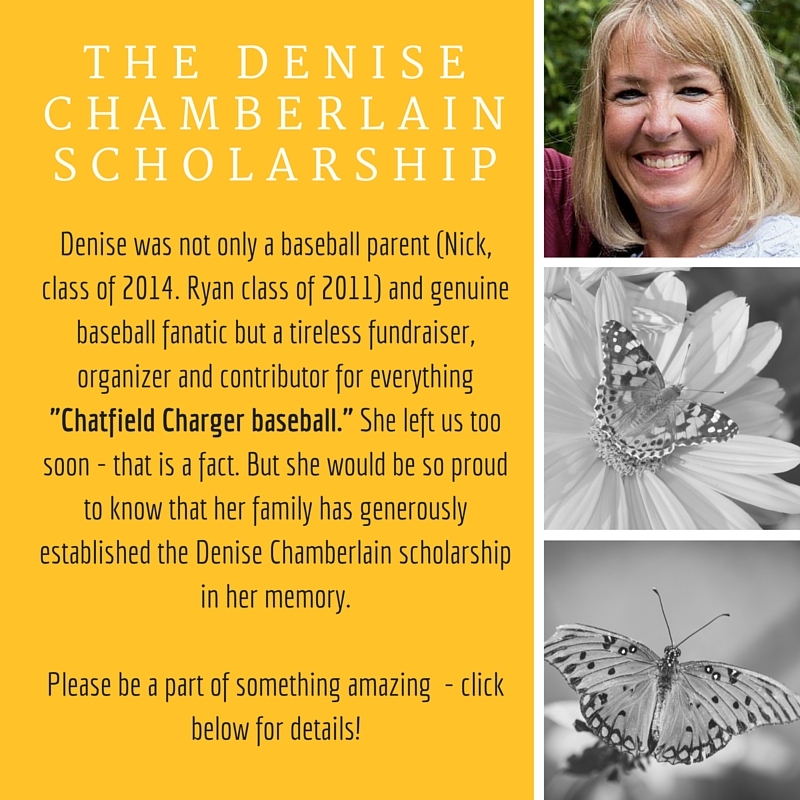 Chatfield Baseball scholarship application forms are now posted! Both applications for 2019 are due by 3 PM on Friday April 26, 2019 to Nikki Lucas, the athletic secretary. PLACE YOUR COMPLETED APPLICATION IN A SEALED ENVELOPE. Players can apply for one or both scholarships by completing two separate applications and placing them in two separate envelopes. Please note that a signature and validation of grades is needed from your counselor so plan ahead! Thank you to everyone who signed up for the Spring 2019 Committees at the team welcome the other night. We have a few committees which still need chairpeople or helpers. 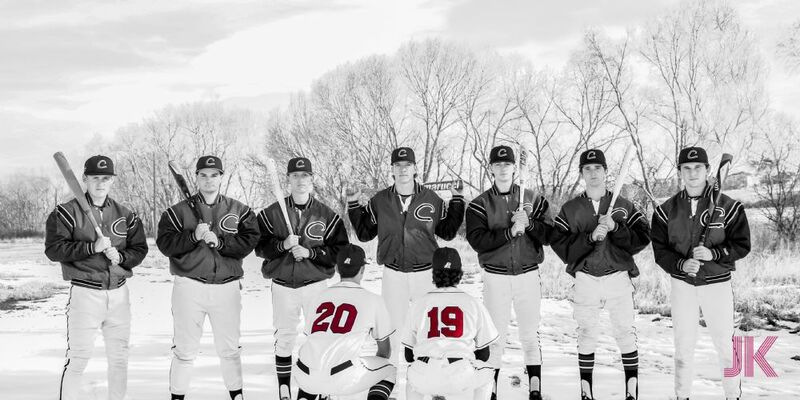 NEW, FUTURE or INTERESTED PLAYER REGISTRATION sign up here to be added to our system and receive emails about upcoming events, news and info related to Chatfield Charger Baseball! Current 8th graders are encouraged to register! Promote your business, special offers, and more. We'll promote you throughout the season and throughout the year to a community of over 20,000. Click the Links at the top of the home page and Thank You!